A resolution one too many of us may have for 2016 would be to steal extra pockets of time in order to travel and relax. Chaos and mayhem may surround our daily life more than we would want it to, but one ticket out of this would be to see the world. However, for those who can’t afford to take too much time off work, Malaysia is akin to an oyster with all its gems yet to be discovered. If we want to enjoy the finer things in life such as a luxurious stay in a presidential suite for our mini-vacation, it would not be too far-fetched to believe that it would happen one day. After all, we just can resolve to work harder this year and earn every little bit of luxury that we rightfully deserve. Here are 10 spots that you can chill out at during your next Malaysian staycation and while you lie in bed at night, you can heave a huge happy sigh and know that you have made it in life. Do note that the following prices are taken from the official hotel website (simply because prices vary on other websites) and are weekend rates per night, during the date 26-27 March. That exact date was chosen as a means of fair comparison for the prices. 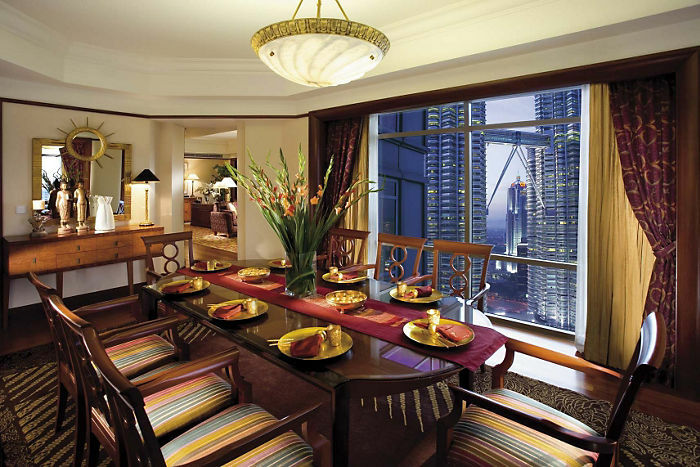 The imperial suite of the Grand Millennium Hotel in Kuala Lumpur is a 2,690 square feet 2-bedroom suite with ensuite marble bathrooms, floor-to-ceiling glass panels, amongst a list of other things: a kitchen, mini bar, personal safe, a TV lounge with plasma screen and Bose home theatre system and even a private office. Complimentary buffet breakfast is also served with free access to the Club Lounge with buffet breakfast, and the hotel offers cocktail hours with hors d’oeuvres. 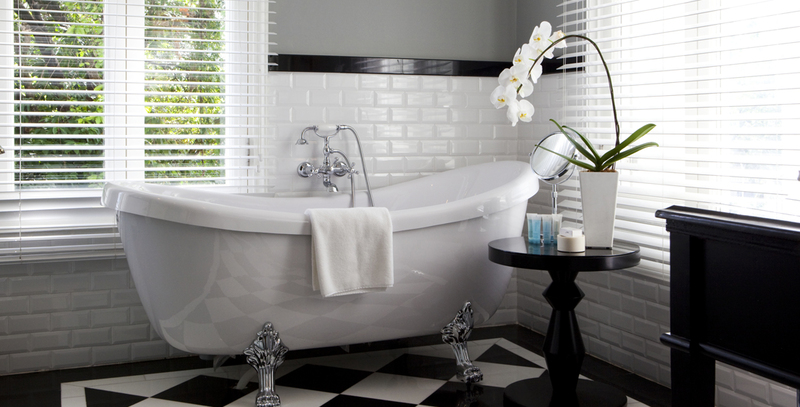 Ever wondered what it would be like to have a butler tend to your every whim and fancy? 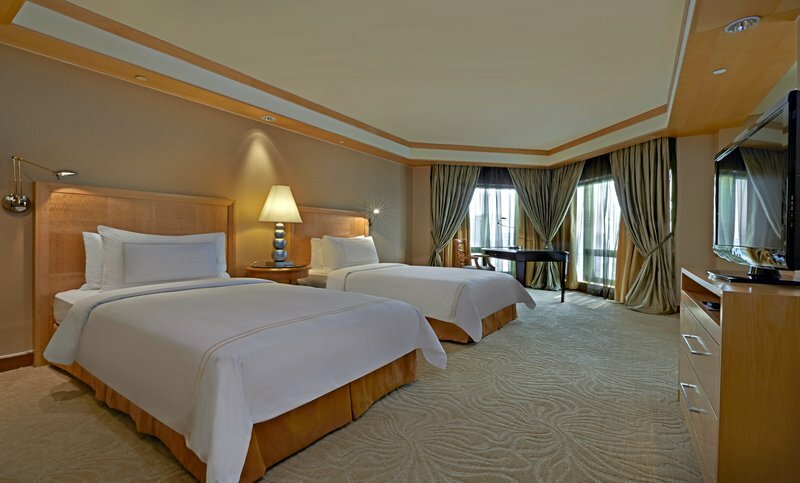 A night at the Majestic Suite of Majestic Hotel Kuala Lumpur would allow you just that. You even get to enjoy an ensuite bathroom that has a separate rain shower and a claw foot bathtub too. 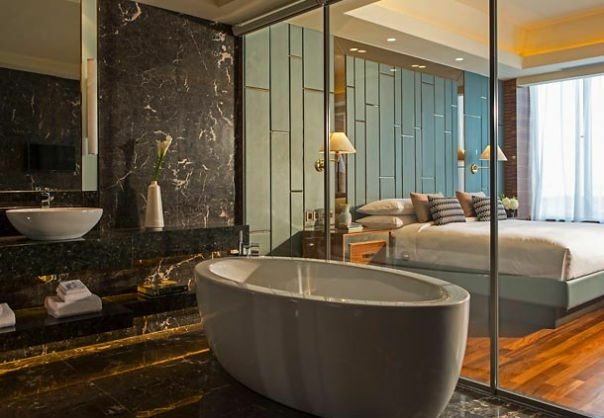 The club suite at the Mandarin Oriental Kuala Lumpur boasts a bedroom that has beautiful upholstered armchairs, carpeted ground and a four-poster bed. If that does not sound indulging enough, there’s also a private sauna and a walk-in shower available. A vast living room is dotted with Asian-inspired artworks, while an impressive dining room has a table for eight and access to a fully equipped kitchenette. You would know that a hotel means business when they have a dress code of smart casual and shorts, tank tops and slippers are not permitted. 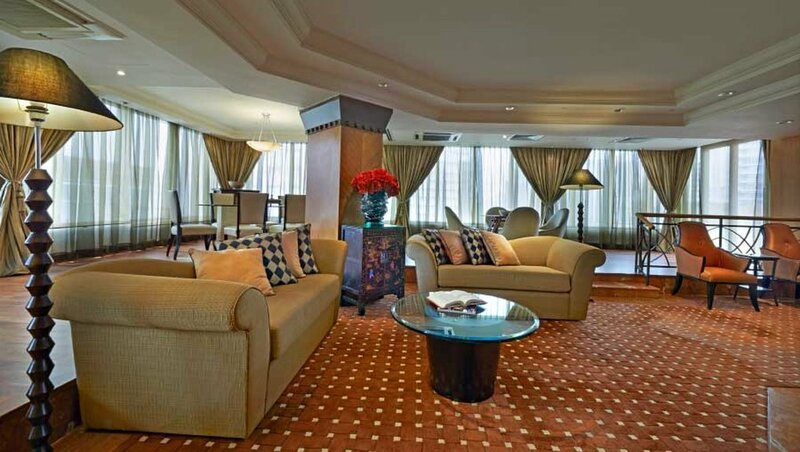 The presidential suite at Renaissance Hotel Johor Bahru offers a private meeting room, a small TV lounge, an outdoor patio terrace and an internet work station. 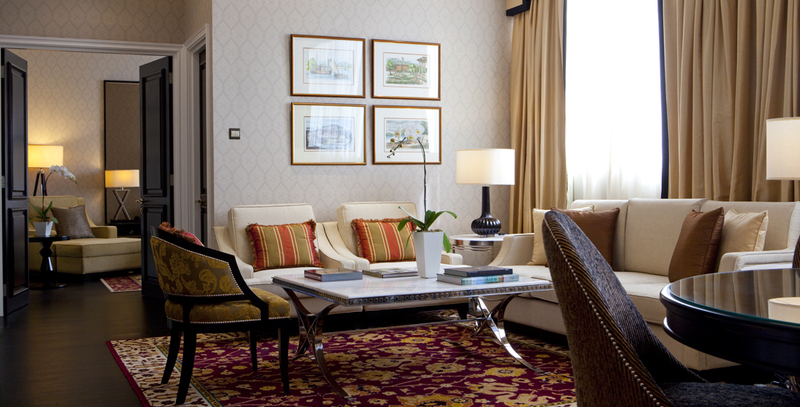 The room also features club lounge access, and complimentary food such as afternoon tea, hors d’oeuvres, desserts, and non-alcoholic beverages. 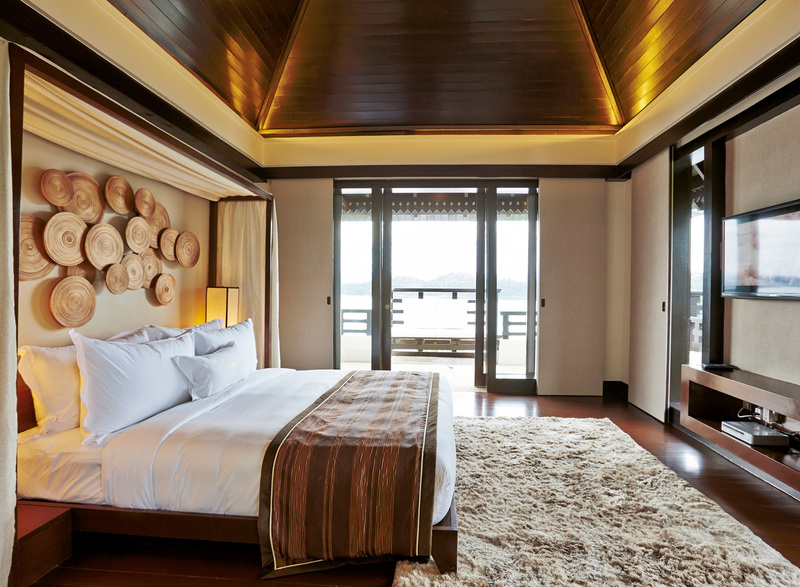 The Duchess Suite in Danna Langkawi is the epitome of getting away for some R&R. 110 square metre in size, with room balconies overlooking the plunge pool and Andaman sea, you truly get what you pay for. This hotel also offers a plush “pillow top” mattress with a choice of either foam or feathered pillows so you could rest in complete luxury on a four-poster King bed. The room is also equipped with a home entertainment system with a 42-inch LCD TV and a bathroom with his and her vanities. 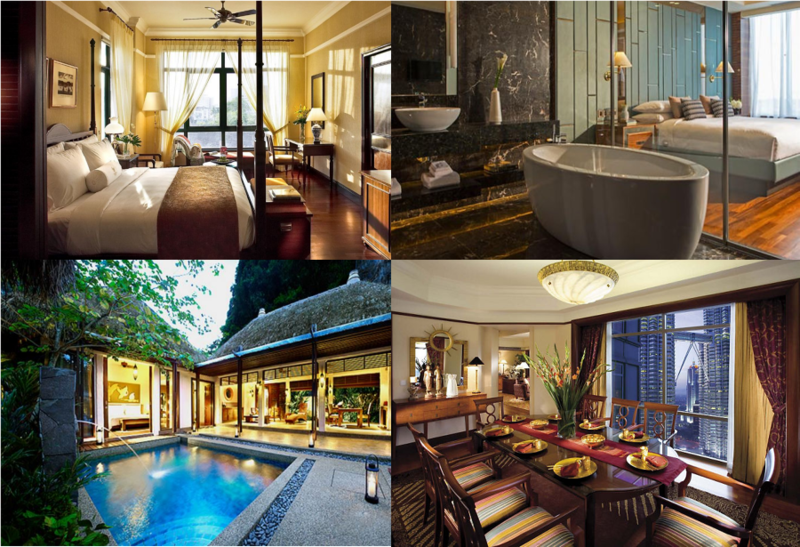 A stay at the Tranquerah Suite in The Majestic Malacca will allow you a comfortable seating area and a powder room in the suite. Located on the top floor of the hotel, the spellbinding views of the Malacca River and the traditional Malay village of Kampung Morten would also make the price of your stay all the more worth it. 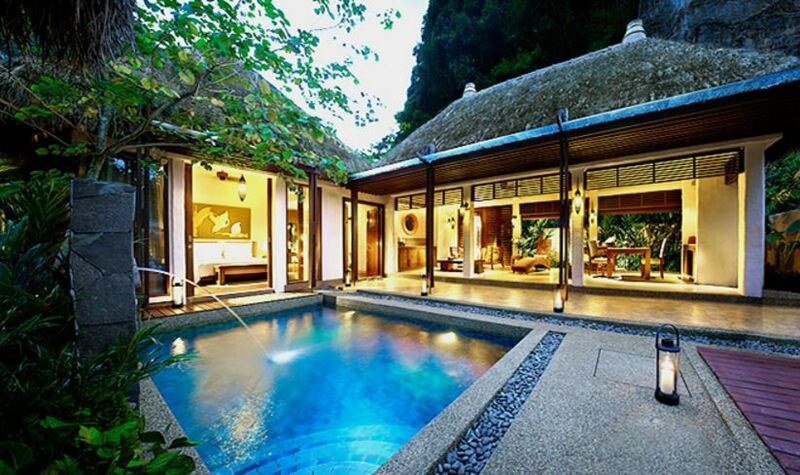 A stay at the Garden Villa in Banjaran Hotsprings will allow you to truly get away from the hustle and bustle of city life and indulge your senses. The Garden Villa is 2,808 square feet large and comes with a 7-foot king-sized bed that has a 10cm thick “feather-bed” topped mattress, feathered-down duvet, cotton-rich linens and hypoallergenic pillows. There are also other luxuries like a sunken Jacuzzi with natural geothermal hot springs water, a private outdoor rain shower, aromatherapy body care amenities, a patio with a private pool, living and dining area. 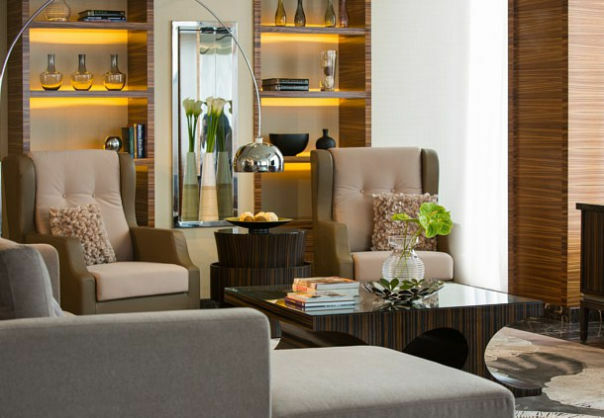 The presidential suite at Hotel Equatorial is classy and chic at 150 square metres. Even if you had to conduct business meetings here, it would not be a shabby location to do it. Besides an LCD/plasma screen to entertain yourself with, there is also a music speaker in the bathroom to karaoke while you shower the stresses of life away. 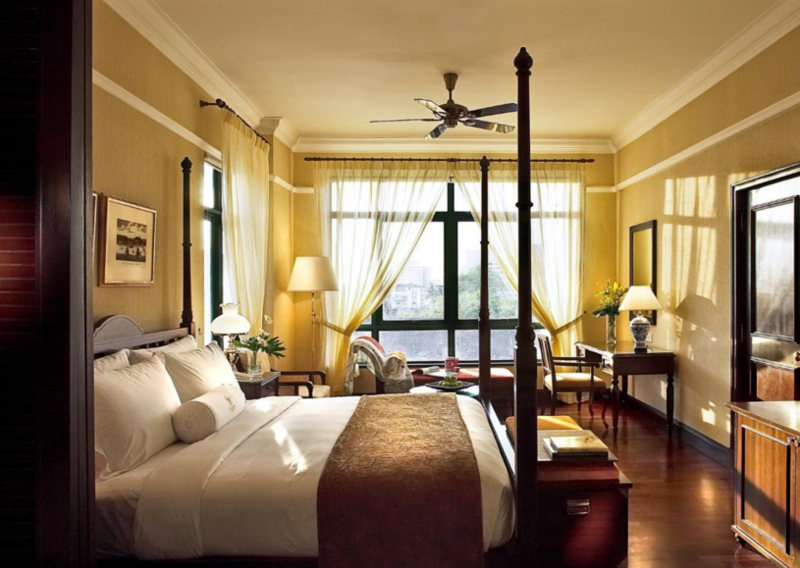 The E&O suite at Eastern and Oriental Hotel is a one-bedroom suite with a private study, walk-in dressing room and ‘His and Hers’ gilt bathroom with a spa bath and television. 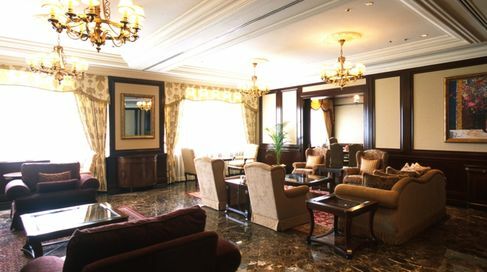 It is equipped with a separate formal lounge linked to a private dining room, supported bar, and a butler’s kitchenette. If that does not sound enticing enough, there are also additional packages such as English afternoon tea (RM52.25) and a 60-minute Mali moonlight soothing massage (RM326.48). 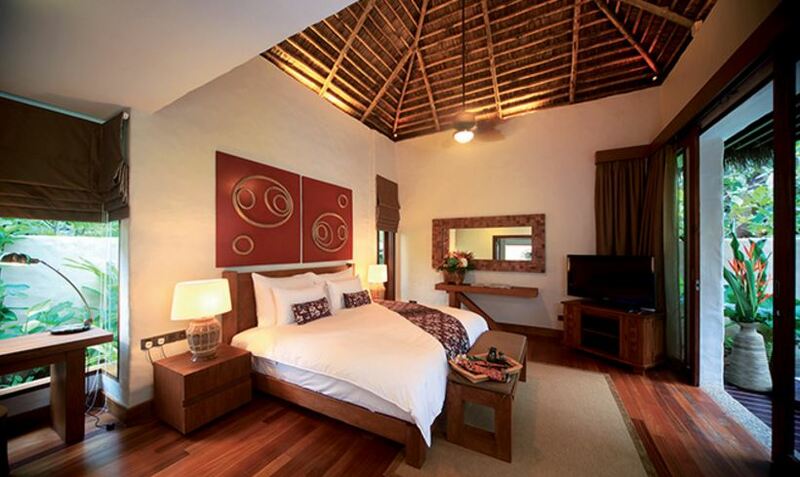 Situated on the sloping hillside, the Suria Suite in Gaya Island Resort brings to mind a Scandinavian feel. It also allows you to enjoy the views of the ocean as well as the majestic Mount Kinabalu from the large outdoor verandah complete with daybeds. Other amenities include a private dining room, TV room, powder room, as well as a pantry which opens into an outdoor deck. 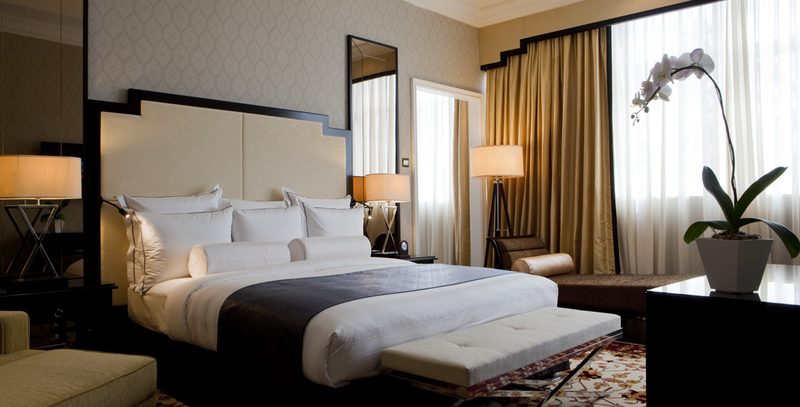 The two spacious bedrooms available both come with separate en-suites, walk-in wardrobes and vanity areas. This haven of absolute luxury is completed by an outdoor bath which leads onto the suite’s private balcony that offers breathtaking views.